TOKYO – Beauty may be in the eye of the beholder. 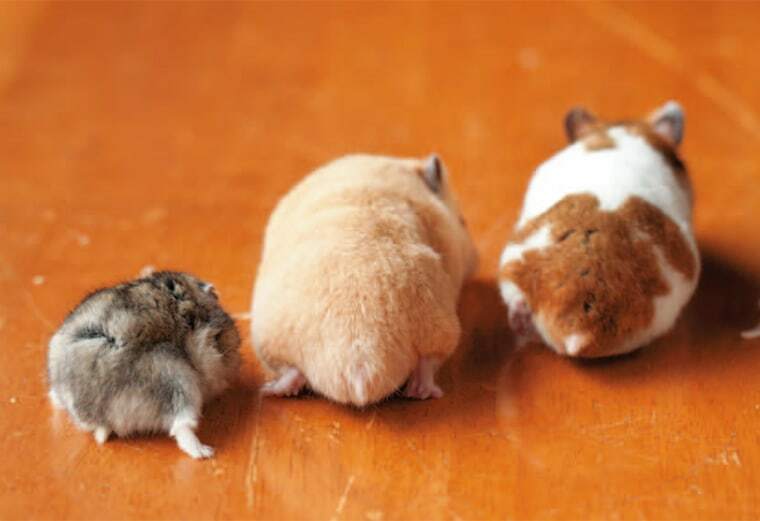 In Japan, people are finding beauty in the booty – of hamsters, that is. The country that extols the virtues of kawaii, or “cuteness,” is cashing in on a new craze, offering up coffee table books filled with photographs of hamster butts. One of the tomes is simply titled "Hamuketsu" – letting the name for the furry phenomenon, which combines the Japanese words for hamster and rear-end, speak for itself. The pages of “Hamuketu” feature hamsters in a variety of compromising positions, butts up inside of cocktail glasses and stuck head first in coffee mugs. Around 18,000 copies of the book have been printed since it came out in March, according to Basilico Publishing’s Isao Itoh. "We knew this was a cuteness which didn't require any explanation," Itoh said. Itoh said that after noticing the term “Hamuketsu” spreading on various social media networks, the publishers saw an opportunity to tap a wider audience – and rushed to publication in just one month. Sekaibunka Publishing is behind the other book , whose editor handpicked the hamster shots mostly from blogs dedicated to the rodents (yes, those exist.) The book sold out on Amazon before it launched and since then, 30,000 copies have been printed, according to company spokesperson Yukako Minami. “To have made so many reprints, we’re very happy,” Minami said. Artist Megumi Hisai – who is believed to have set off the rush for hamster rumps by using the term “Hamuketsu” on a blog entry featuring photos of her pets – has a photo book titled “The Original Hamuketsu” due out later this month.